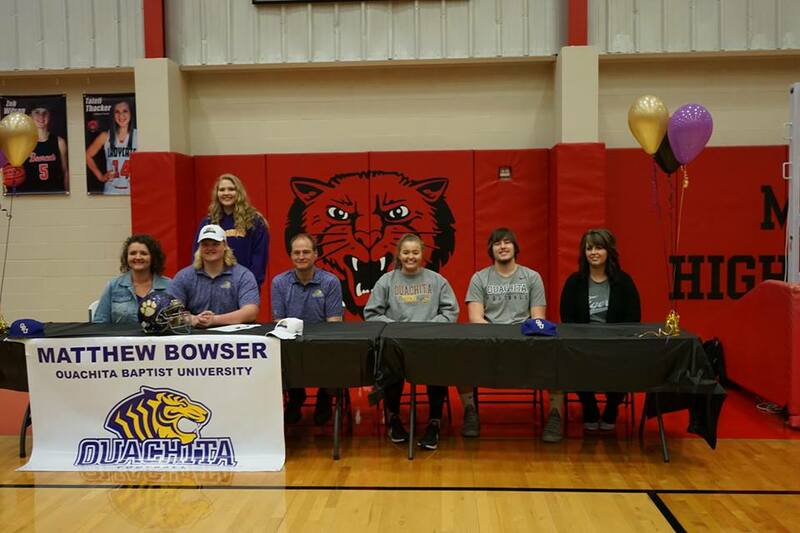 Bowser & Strother sign with OBU - Bearcat Foundation Inc.
Bearcat Seniors Matthew Bowser and Brock Strother each signed a Letter of Intent this morning, committing to attending Ouachita Baptist University this fall to play football. Bowser and Strother are both going in as preferred walk-ons to the team. OBU plans for Bowser to play on the offensive line, while Strother will likely play tight end. Congratulations to these young men!